Blog » How to Set up Amazon Echo Alexa Device? With every passing year, we’re witnessing magnificent applications and devices launched in the market to be used by the general population, for common purposes, which only seemed like a dream almost a year ago. One of such amazing creations is Amazon’s Alexa app. 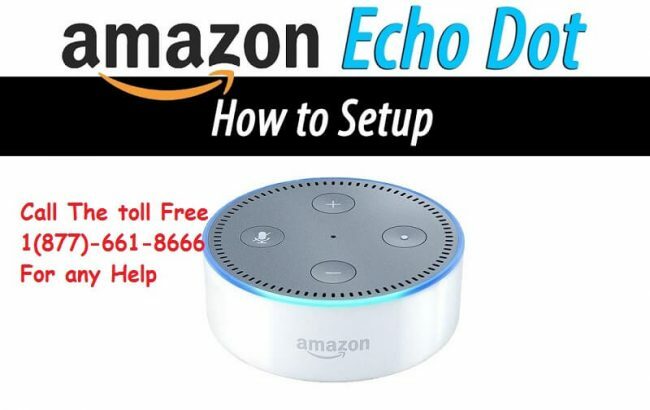 In this post we will be talking about “How to Set up Amazon Echo Alexa“? It is said that its developers were highly inspired by science fictions like Star Trek, where the entire ship was shown to be controlled using voice command. Keeping the same thing in mind, Alexa was created, and now it has become a sensation. The application is easy to use, and makes the life of people using it so simple. In this blog, we’re going to focus on how to set up Alexa Device, i.e. the devices that are supported by Alexa app. Alexa is a voice command app developed by Amazon, and launched in the year 2014. The application was introduced as a virtual assistant in Amazon Echo Speakers. With Alexa, the users could use their voice to command the speakers to play music. The app is linked with the users’ Amazon account, and various other apps associated with it, for instance Spotify, AccuWeather, Wikipedia, and so on. Alexa uses them as references to give the users what they need. The users could ask Alexa to perform a function like turn on a device, or ask for information like the current weather report. Five years down the line and Alexa has grown tremendously. Currently, it supports hundreds of devices which include home appliances, lights and fans, electronics and even cars. The app has made serious contribution to home automation, and taken it to the next level. It is available in 41 countries all over the world. What makes Alexa so fascinating is the fact that it is so intelligent. The users don’t need to use any specific set of commands to give orders to the device. They could talk to Alexa as if they were talking to another human. It has a voice recognition mode, which can be programmed to respond to the voice of only a certain user, or a group of users. How to Set up Amazon Echo Alexa? To set up Alexa onto your device, first you need to download Alexa app in your smartphone. You can do that absolutely free of cost from Apple Store or Google Play Store. To use the app, you need to have a fully functional Amazon account. If you don’t have one, simply sign up and get it. When you open the app for the first time, you’ll have to sign in using your Amazon account. Once you’re in, go to Menu, and then to the Settings option. Under Settings you’ll find Device Settings option, tap on it. 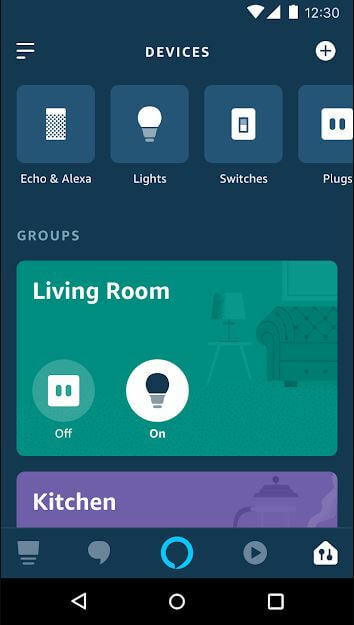 Here, you can add the devices that are compatible with Alexa, and the ones you’d like to control using Alexa. The other way to enter Device Settings is to tap on Home icon on the bottom right corner of the app screen. Once you do that, you will be directed to the Device Settings page, where you can add your devices. You will see a Plus sign on the top right corner of the Device Settings page, tap on it. When you do so, you will see a list of devices compatible with Alexa. 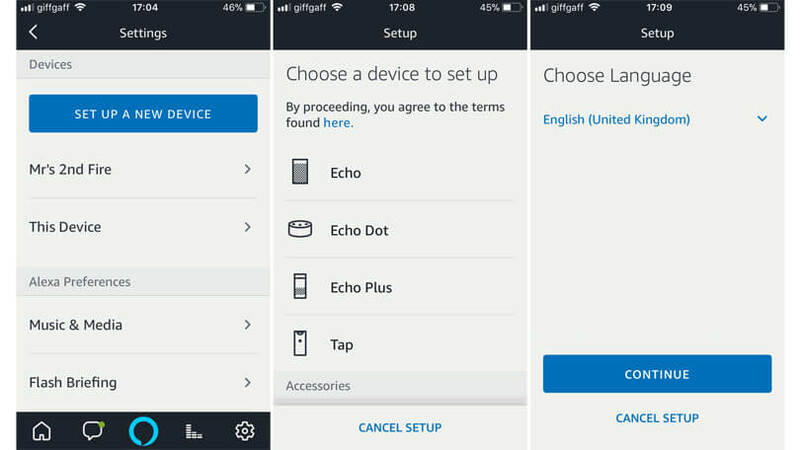 All you need to do now is choose the device where you’d like to set up Alexa, and follow the steps given. Now, you should ensure that before you start the set up process, your device is connected to power supply, and powered up. After the set up process is completed, you’d no longer need your smartphone to command Alexa. You will be able to control your device with your voice itself. These were the steps on how you can set up Alexa device. We really hope that it helped you with the configuration process. Alexa has made it quite simple for the users to control their devices. No matter what part of the house they’re in. As long as their voice can reach the device, they’re able to control it. Imagine a scenario when you’re in the bathroom, or in the kitchen, all busy, and you feel the need to turn on the lights, or music or any other appliances. Alexa removes the need for you to be physically present to get the thing done. Now, all you need to do is ask Alexa to do the job for you, and it will be done. The intelligence of Alexa is sure to surprise you. You’ll feel as if you’ve hired a human assistant to make things easy for you. However, just like other AI devices, Alexa devices like Echo Dot, Echo, Amazon Connect and other Alexa devices also experience trouble. In any situation where you need help with Alexa devices, You can contact Amazon Echo Alexa tech support number by calling +1(877)-661-8666 . We have highly qualified and very professional technician who support all the Amazon devices.